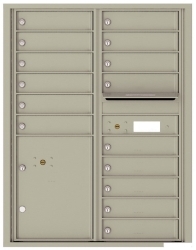 U.S. Mail Supply offers indoor and outdoor heavy duty locking metal mailboxes for residential and commercial properties in Arizona and throughout the United States. Our vertical and horizontal mailboxes are ideal for apartments, condos, government & municipal buildings, schools and any multi-unit facility. USPS approved and private use options available to perfectly suit your needs. 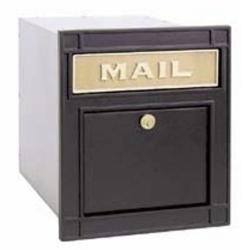 Shop big and small indoor and outdoor mailboxes for offices, apartments, or large or small businesses. For USPS delivery or private delivery. Choose modern style pedestal mount box units or elegant decorative mailboxes for luxury/high end apartment complexes. 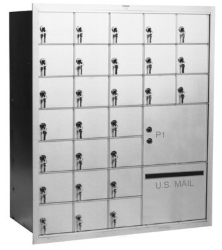 U.S. Mail Supply offers horizontal STD-4C mailboxes for USPS delivery and 4C pedestal mailboxes for private delivery. Rear and front loading options and surface/recess wall mount options available. USPS approved mail boxes are built to meet standards set by the U.S. Postal Service for box size, accessibility and identification information. Installation instructions are made simple for easy compliance. Shop metal security mail boxes for multi-unit residences and apartments – from vintage/Victorian style decorative cluster box units to standard 4C horizontal or pedestal mailboxes. USPS or private delivery options available. 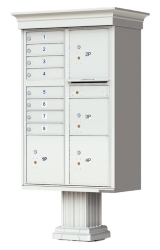 We offer outdoor pedestal mount mail box units and commercial/residential mail kiosks for USPS delivery or private use. Available in colors to complement virtually any building's color scheme. 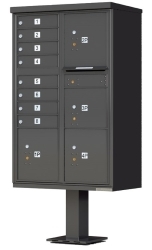 Shop replacement and private use indoor horizontal and vertical mailboxes with many customizable options for outgoing mail slots or doors for packages. Shop wall mounted residential mail houses or locking mailboxes with traditional post attachment for a secure locking option for single unit residences. 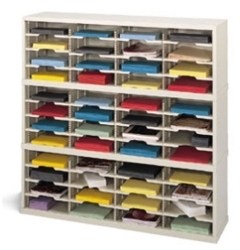 U.S. Mail Supply carries mail sorters & literature organizers with many different slot sizes for mailrooms, offices, classrooms, hospitals or clinics. Heavy-duty steel & aluminum built mailboxes stand tough against the test of time. 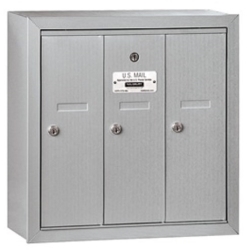 American-made metal mailboxes for sale from U.S. Mail Supply are built for durability and longevity. 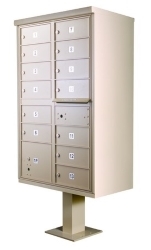 Secure lockable surface mount or recess wall mount mailboxes give you peace of mind knowing belongings are safe. If you have any questions about customization options or what mailbox is right for you, give us a call and we’ll help walk you through it. Fill in all details on the type of mailbox you need and how much space you have for it and we’ll help you find the best solution.